As October comes to a close, so does Season 2 of Let’s Shake It. Hope you guys enjoyed these recaps and that it helped you to follow along with the show while you wait for subs. Let us know what you thought of the series and the finale. Do you want to see a third season or was this a good end to the story? 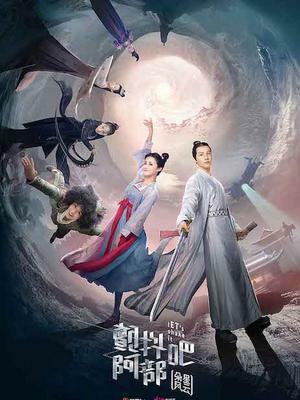 Are you following Zheng Yecheng and An Yuexi in their new series (An Oriental Odyssey and Granting You a Dreamlike Life)? For one last time, join Enid Bee and Linja as we post the final recaps for Let’s Shake It: Trouble on Planet Duo. Get your tissues handy. We finally get to the Tang Dynasty, but only after a literally gut-wrenching scene. And now there are two Tang Qing Feng’s for Abu to deal with, but she doesn’t know which one is really her’s. We also finally meet Tang Qing Feng’s mom and see that the apple doesn’t fall far from the tree. And there are more familiar faces as well. Join Enid Bee and Linja as we begin Week 04! Join Enid Bee and Linja as we begin Week 03! Linja saves the day!! My “Let’s Shake It” fansub partner and all around awesome person, Linja, helped me out soooo much with these recaps. Her language skills are much better than mine so please thank her in the comments as I think I would have needed another week to translate some of the dialogue in about half the scenes to understand everything that was going on. Thanks to her, though, you don’t have to wait for me to do that. 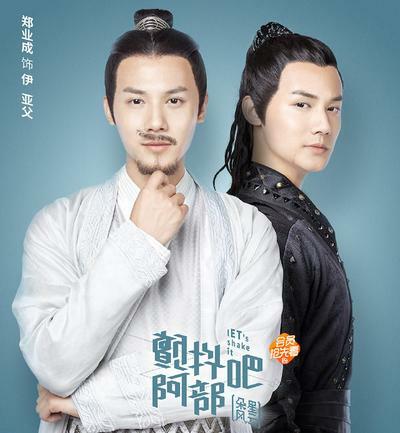 In these five episodes we’ve got giant wine glasses, Tang Qing Feng and the Princess get engaged, the assassin robot finally appears, we find out Dark TQF’s name, Abu dies and now Enid has second lead syndrome. Let’s begin the second half of Week 2! 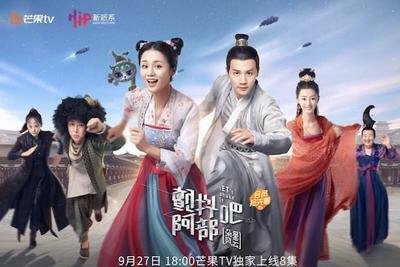 There are chili pepper zombies, Duo Miao Miao is reborn, we meet the ancestors of the Li family and the infamous Tang House twins and the Princess returns. And now that they’ve changed the airdate schedule for this week – let’s start the first half of Week 2! 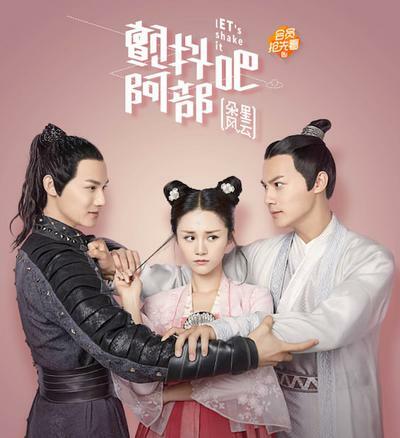 Let’s Shake It was the first C-drama I ever watched without benefit of English subtitles (and after only six months of studying Mandarin) and I fell in love with the show right away. I’m so excited to get to see the second season of this romantic comedy and, since I watched the first season without translations and managed to follow it along pretty well, I decided I’d recap the second season without subs for those fans out there who want to know what happens and don’t want to have to wait for subs. Please let me know in the comments what you think about the series and what you are enjoying or wishing was better. So bring on the Scavenger assassins, the chili peppers, the bricks and more braised pork galore. Let’s begin Week 01 of Let’s Shake It: Trouble on Planet Duo!